Pre-screening of employees, contractors and service providers should be included in your risk management approach as part of your overall organisation security strategy. 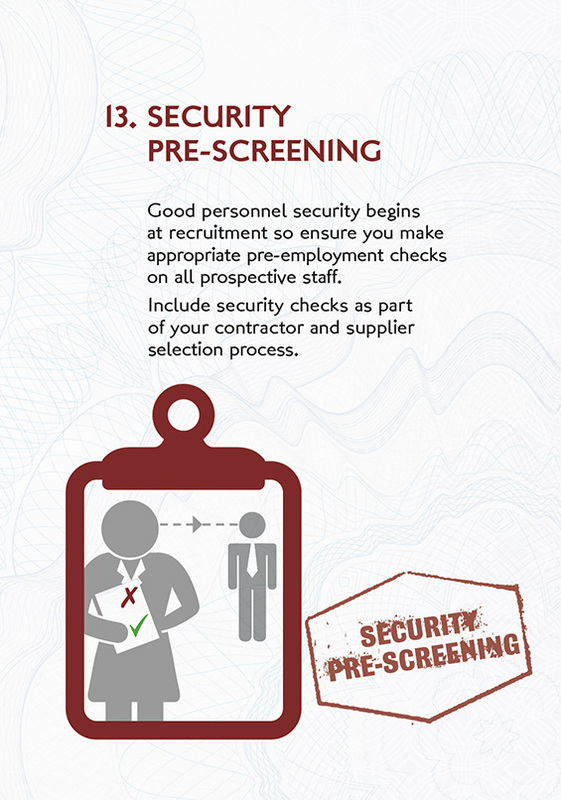 Pre-screening will help you to detect adverse information at the earliest possible stage, for example, making appropriate pre-employment checks on all prospective staff will uncover any irregularities in information they have provided. Are pre-employment checks a standard feature of your recruitment process? What level of pre-employment checks are made on contractors and service providers? Are checks in proportion to the applicant’s access to secure areas/ information? Available on request - Take Another Look: ID Verification - a short DVD on the importance of verifying identity and authenticity of identity documents prior to recruitment. Send us your request using our contact form.